Whether you’re new to birdwatching, a keen ornithologist or somewhere in between, the SOC will help you further your knowledge and enjoyment of Scotland’s wonderful birdlife. The SOC is Scotland’s bird club. We bring together like-minded individuals with a passion for birds, nature and conservation through a programme of talks, outings, conferences and via the Club’s quarterly journal, Scottish Birds. One of the SOC's greatest contributions to Scottish ornithology is monitoring and recording of bird numbers. For more than 80 years we’ve been watching over Scotland’s birds, recording their numbers, presence or absence all over Scotland through the SOC’s network of Local Recorders and dedicated volunteers. The data we collect is then made available to organisations such as the RSPB, and is one of the first points of reference in informed conservation planning. It is also available to conservationists, planners and developers and is a critical tool for future bird conservation. Many people consider birds to be the litmus test for the health of the environment. 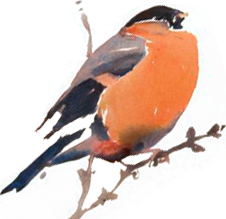 By recording which species we’ve seen when and where, how many we saw as well as what we didn’t see, scientists can gain a greater understanding of the effects pollution, habitat loss, climate change and modern farming methods are having on our wild birds. 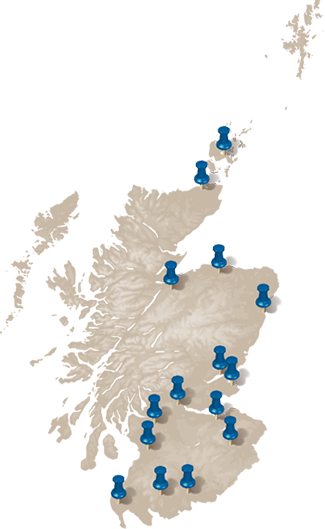 The SOC is Scotland’s bird club with 15 branches around the country and a growing membership of over 3300. The Birds of Scotland Digital. Find out more about it here. * Collins Bird Guide is not available as a free gift option when purchasing Student, Unwaged or Junior membership. Where Direct Debit is not applicable (Life and Junior memberships, or where the payee does not hold a UK bank account), you may still choose a free gift. Overseas members will automatically receive The Birds of Scotland Digital as their free gift. We regret that this offer is not available to previous members who have already received a free gift. Click the button below to download the membership form and post your completed form in to us at our Waterston House address. Our Freepost address is FREEPOST RTKC-TGJU-KZLB, SOC, Waterston House, Longniddry, EH32 0PY, however using a stamp will save us costs. Thank you in advance for your support. We look forward to welcoming you to the Club!